- Analysis suggests breaking the "destructive spiral"
In India there is a social divide. Either you are very wealthy, or you are dirt poor. In addition to overwhelming poverty, the patriarch society does not help the case for the poor women of the area. They are expected to have numerous children, or at least until they have enough males to take care of the family. The lack of education and the pressure of males following tradition leads to an imbalance of youth and elderly. Currently, there are proposals for new policies to cut down on the never-ending downward spiral. 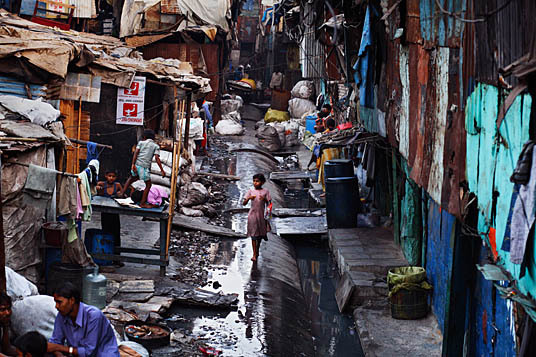 The conditions in which the poor people of India live in are shocking. Not only are they living in sub-par conditions, but the females of the society are not treated as equals. High uneducation rates lead to numerous pregnancies, which increases the population of young people, while the lackluster health conditions lower the life expectancy to 40's. I agree with the solution of deploying the different policies to ensure healthy living, so that women do not feel obligated to have many children and that they are fully aware of the ins and outs of reproduction. While these proposals pose very strong results, further research and the eventual implementation of these ideas are still needed.